Oprah, Dianne and Katharine. And Scroll. Celebrity Presidents? Oprah in the Oval Office? You all have probably at least heard about — if you haven’t watched it — media mogul Oprah Winfrey’s speech after she received the Cecil B. de Mille Award for lifetime achievement at Sunday’s Golden Globe ceremony. It was a hopeful speech highlighting the strength shown by women despite centuries of oppression. So, of course, in this age of celebrity politicians, media talking heads began touting Oprah for president in 2020. Whether you think it’s a good idea or not, you owe it to your readers, viewers and listeners to review how we got here. Donald Trump isn’t the first celebrity to run for and hold public office (Google “Jesse Ventura” or “Arnold Schwarzenegger”), and he won’t be the last. There’s a type of feature story called the historical feature. This might be a good time to dust off your historical research skills, hit up your American history teachers and give your audiences a wider view. Sen. Dianne Feinstein (D-Calif.) on Tuesday released the full transcript of a hearing conducted by the Senate Judiciary Committee of Fusion GPS founder Glenn Simpson. Fusion GPS is the firm that, under the direction of both Republicans and Democrats seeking information about then-candidate Trump, produced the infamous “Steele Dossier” that may implicate the president and others in crimes against the U.S.
Feinstein’s release of the documents went against the wishes of Senate Judiciary Chairman Sen. Charles Grassley (R-Iowa), who said the release jeopardizes the committee’s ability to interview future subjects. Whether you agree with Feinstein or Grassley, the truth is that the document is a public record. As journalists and Quill and Scroll members, we believe in the old adage that “sunshine is the best disinfectant” regarding governmental function. Because of Feinstein’s action, we know more today than we did last week about the Senate’s investigation — and likely Special Counsel Robert Mueller’s investigation — into Russia’s meddling in our election system. That’s a good thing. Wanna see a good movie? (Well, we assume it’s good, because it’s about journalism and Meryl Streep is in it. 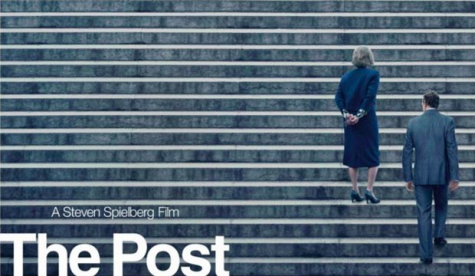 Officially, Q&S hasn’t seen “The Post” yet, but we will.) “The Post” opens today, Jan. 12, in most of the country. It’s the story of Washington Post Publisher Katharine Graham and Editor Ben Bradlee’s decision to join The New York Times in publishing what have become known as the “Pentagon Papers,” which laid out how the U.S. government misled the country and drove America deeper into the Vietnam War. Teacher Tip: Make it a field trip. Because popcorn. If you’re at an active Quill and Scroll charter school, you are probably thinking about who’s going to be inducted into the honor society this spring. Some of you may already know the date, the time and the honorees. If you aren’t quite sure how this whole induction thing works, check out our Student Memberships page to learn more about the qualifications. Scroll down to see the various awards you can get to commemorate your induction. 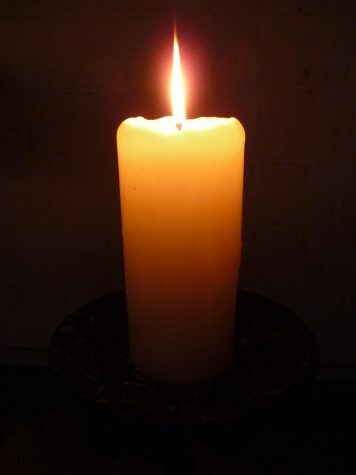 We also have scripts for the induction ceremony if you do it with candles or sans candles. Both are pretty cool. Does anyone have any footage of their induction ceremonies! We would love to feature your students in a video! Contact us at [email protected] for more information. What does being a Quill and Scroll member mean to you? Go to our Facebook page to learn how to share your testimony about what it means to be a member of Quill and Scroll. Or you can go to the Quill and Scroll website to give a more detailed story about your connection to Q&S. The Student Advisory Board is a go! The first Quill and Scroll Student Advisory Board has been formed, and it consists of 11 students — boys and girls from public and private schools across the United States. The SAB has already begun providing feedback to the Executive Director about our programs and contests, and it will soon begin planning a nationwide Quill and Scroll activity for the fall 2018 semester. A big part of our planning includes a face-to-face meeting in San Francisco at the April JEA/NSPA convention. But some students will need help getting there. So Q&S Executive Director Jeff Browne has created a fundraiser on his Facebook page to help defray some of those costs. You can help by sharing that fundraiser on your page (or, if you have some extra holiday cash lying around, by donating). Every little bit helps. Thanks! A senior at Crookston High School in Pennsylvania wanted his senior yearbook portrait to be one that captured his essence, that of an avid hunter. His submitted photo showed him sitting in the back of a pickup truck holding a hunting rifle. The local school board voted this week to ban photos in the yearbook of students holding guns, unless they’re members of the school’s trap-shooting team and the photos were of them posing as part of the team or competing in trap-shooting events. But the twist for us is that the principal had been granting exceptions in the past. The board vote ended that practice, but it didn’t end the practice of administrators making content decisions in student media, which Quill and Scroll vehemently opposes. Can’t students, with advisory help from the principal or the board, make such decisions on their own? Well, many have, including banning all sorts of props from senior photos. What’s your policy? What do your district and school officials have to say about props and senior photos? T-shirts and senior photos? Other statements or potential statements in senior photos? Regarding the “Steele Dossier” from above, one of President Trump’s lawyers is planning on suing BuzzFeed for publishing the Dossier last January. Here’s some analysis from the Washington Post about why BuzzFeed could get in trouble. It’s a great discussion about the different types of pubic figures and how they have different standards in trying to prove harm in a libel case. As I noted here last week, it’s time for most of our chapters to start inducting students for the 2018 cycle, which includes ordering pins and cords for graduation. Some sophomores and juniors will also be inducted, and they’ll become the leaders in their chapters for the coming years. I hope you pay close attention to our induction ceremony and the values it promotes, namely Truth, Leadership, Loyalty, Learning, Initiative, Integrity, Judgment and Friendship. I further hope that this becomes a list of values that you always hold dear, no matter your profession and station in life. We know that most high school journalists don’t become professional journalists or even major in journalism in college. But these are values that can be applied in any circumstance. Further, I hope that your Quill and Scroll membership is truly a lifelong commitment to our society and its values. If you don’t already have a list of Q&S alumni from your school, we can help you build one. Alumni can help inspire your students and to explain how they’ve used Quill and Scroll’s values to inform their personal and professional lives. Finally, begin thinking now about how your Quill and Scroll chapter can create positive change in your community, and how it can promote ethical journalism and the dissemination of it. If you’re stumped, the Q&S Student Advisory Board will be meeting in San Francisco to finalize its plans for a 2018 activity. We’ll publicize that when it’s ready.